In the world of mid-market New York City investment sales last week, Steve Kassin sold a retail building in Sheepshead Bay, and a famous architect sold a six-unit Tribeca townhouse for $18 million. 1.) Steve Kassin’s Infinity Real Estate sold a one-story retail building in Sheepshead Bay for $12 million. The 10,000-square-foot building, at 2837 Coney Island Avenue, is located at the corner of Avenue Z. The buyer is Med Partners LLC. In April, Kassin took a majority stake in the leasehold at 587 Fifth Avenue, and in May he secured construction funding for a Midwood project. 2.) 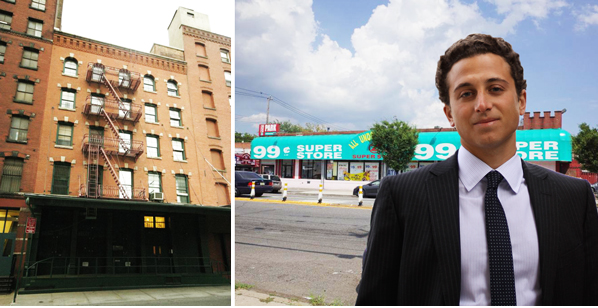 Michael Aryeh’s Heritage Realty bought a 31-unit multifamily building in Washington Heights for $12 million. The seller, Margaret Streicker Porres’ Newcastle Realty, bought the six-story building at 130 Wadsworth Avenue, for $6.8 million in 2014. Since 2014, the number of rent-regulated units in the building has been reduced from 24 to 21, records show. The building includes one commercial property. 3.) The Office of Thierry Despont, run by the namesake architect, sold a five-story mixed-use building in Tribeca for $18 million. The 42-foot wide property at 70-72 Laight Street was listed in 2013 for $24 million and marketed as a potential condo conversion. The 12,500-square-foot building, between Washington and Greenwich streets, includes four residential and two commercial units. The buyer is Perry NYC LLC.